First and foremost, ALTA Physical Therapy and Pilates is a physical rehabilitation company dedicated to helping you recover from an injury or surgical procedure and return to an active life. Our goal is to help you achieve a healthier lifestyle by giving you tools to recover from an injury and prevent its recurrence. How can ALTA Physical Therapy and Pilates help? The licensed physical therapists at ALTA bring a unique perspective to caring for injuries because ALTA offers a truly holistic approach to rehabilitation. We understand treatment for physical injuries or limitations needs to integrate your mind, body, and spirit to allow return to full health. We realize that you are the most important participant in the healing and prevention process. We will start with a thorough evaluation. Physical Therapists at ALTA place great emphasis on this process. Your P.T. will take the time to talk with you, reviewing your completed medical history and functional status forms, and identifying the dysfunctions that cause your pain. You will then work together to create a treatment plan to achieve your goals. 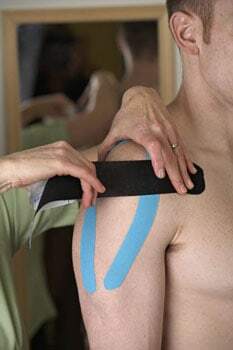 Your ALTA physical therapist will guide you through a treatment regimen suited to your individual needs and begin to restore movement and ease discomfort. Your personalized treatment program may include: hands-on mobilization of joints and soft tissues, modalities of heat, ice, ultrasound, electrical stimulation, traction, exercises for relaxation, conditioning, restoring movement and balance training. Because of ALTA’s unique holistic approach to injury rehabilitation, your physical therapist may also recommend one of our alternative programs to integrate mind, body, and spirit during your healing process. These programs include: Pilates, The Feldenkrais Method®, BodyTalk System™, Integrated Manual Therapy™, and Athletic Performance Enhancement. You don’t need to become an “expert” to avoid or overcome injury, but you may need to learn some new habits. That’s why your ALTA physical therapist will educate you about your injury and teach the “do’s and don’ts” of returning to normal activities. At ALTA, we view injury rehabilitation as a team effort between you and your physical therapist. Your P.T. will help you continue therapy independently with a home program designed to fit your needs. The goal of ALTA Physical Therapy and Pilates is to return you to normal life as soon as possible with the skills you need to prevent re-injury. You may not need to visit your physical therapist again unless you have a new complaint. However, we also realize that, just like keeping your car in good working order requires routine maintenance, keeping your bodymind complex functioning optimally requires continued effort. So we offer you aftercare options to continue fitness training in our fully equipped Pilates studio, and programs for exploring your personal and physical growth through the Feldenkrais Method® and BodyTalk System™. Please call ALTA at 303-444-8707 or contact us by email to learn more about how ALTA Physical Therapy and Pilates can help you move and live with purpose.